It all starts with a high quality, 18mm Honeycomb, martini style bowl/slider. First, your inhalation passes through 100% Virgin Activated Coconut Carbon. Very important as it is used to reduce or eliminate the deadly tars and deadly carcinogens. Next your inhalation passes through a total of 4 Percs with 8 Slits. This further helps to filter out carcinogens by creating tiny smoke bubbles which cools your inhalation. 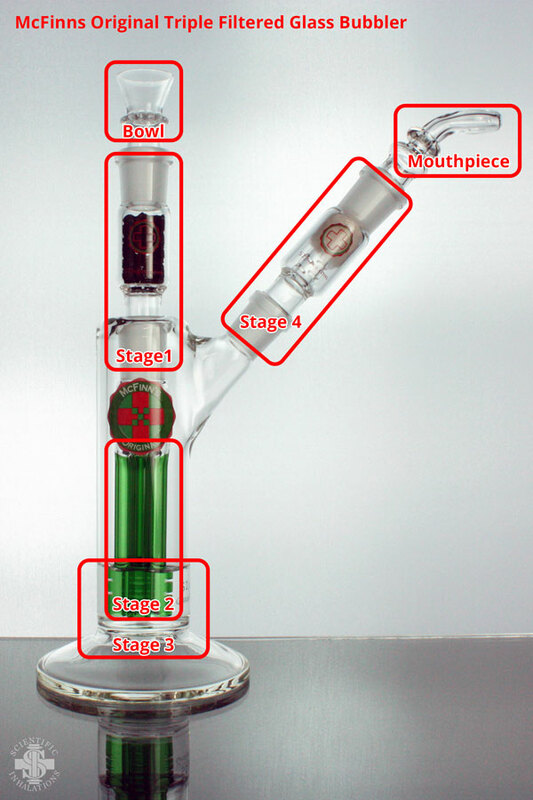 Then, your inhalation passes through “clean” water, cleaning your inhalation by striping the surface of the smoke bubbles. Used to clean and smooth the inhalation by cooling down the hot smoke. Last, your inhalation passes through our Certified 100% Organic Cotton. This is the final filtration process that traps and filters out deadly Pesticides.